The work of the Learning Law and Democracy Foundation is supported through grants, donations, and program revenue. The TeachingCivics.org website, student programs, professional development for teachers, and the Minnesota Civic Education Coalition are supported in part with funding from the Minnesota Legacy Amendment Arts and Cultural Heritage Fund, through civic education grant from the Humanities Center. Civic Education grants from the Minnesota Department of Education support teacher professional development and resource development, including materials for teaching Minnesota Citizenship and Government Standards. The Education Minnesota Foundation supports a variety of programs including the 2011 Summer Institutes and the 2012-13 “Teaching Civics through Language Arts” program. 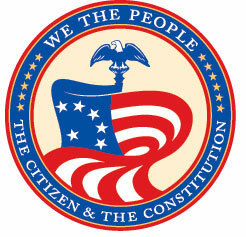 The We the People: the Citizen is supported in part by grants from the Center for Civic Education. Project Citizen is supported in part by grants from the Center for Civic Education. Deliberating in a Democracy in the Americas is supported by grant from the U.S. Department of Education (#Q304A100003) and conducted by the Constitutional Rights Foundation Chicago, Street Law, and the Constitutional Rights Foundation. We the People receives additional support from the Foley & Mansfield Law Firm, Minneapolis. Ongoing support for Learning Law and Democracy Foundation’s civic education efforts comes from many individual donors!